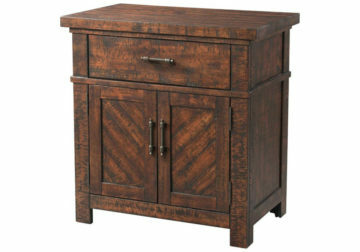 Add warmth and rustic design to your own bedroom with the Jax nightstand. Dressed in a warm, smoky walnut finish, this nightstand features rich distressed woodgrain detail and a sleek wood panel design. 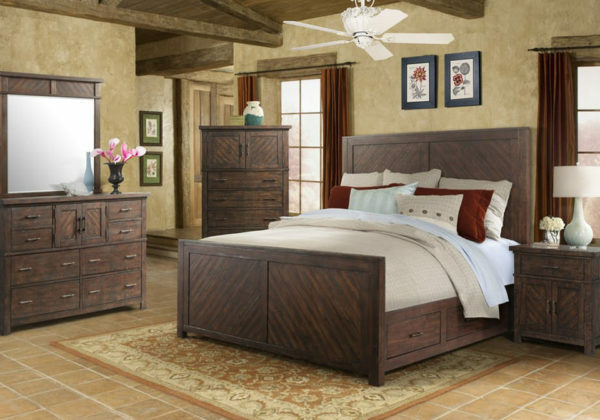 The drawer and a built-in cabinet with a door keeps you organized while bronze finished drawer pulls complete the look of this charming nightstand.